Affordable Moving & Storage is the best and most economical company in New Jersey to handle the full range of your moving and storage requirements. Whether you need additional storage because you’re between homes, renovating your residence or office, or have run out of space in your garage for your cars, we can help remove and transport your possessions quickly and carefully. You may end up missing work if you injure your back carrying boxes of documents, heavy electronics or bulky furniture to and from your vehicle. You take the risk of renting a truck. Your furniture will get bumps and bruises due to the lack of protective material and proper handling. Crushed boxes and damaged furniture from improper stacking in storage. Don’t assume there's not an alternative and that it’s too expensive to hire a professional moving company to pick up and deliver a small load of items to or from a storage facility. Affordable Moving & Storage has lower minimums than most other companies and specializes in small moves. We complete many in a day, allowing us to offer premium service at bargain rates. Of course, we’re well equipped to handle big loads too. Using experienced movers gives you peace of mind --- and a good self storage unit gives you room to breathe! As your local movers, we have in-depth knowledge of the best and cleanest self storage units in New Jersey. Using Affordable Moving & Storage to transport your possessions to and from a storage facility means that you’ll avoid paying the additional gas or mileage charges of larger or out of state moving companies. We sell inexpensive, disposable protective materials ideal for covering furniture and other items so they remain in pristine condition during moving and while in storage. And because we’re your neighbors, it’s convenient for you to pick up the supplies you need or contact us for advice. Affordable Moving & Storage has a reputation to uphold in the community.We offer friendly, personalized service as we rely on word of mouth and referrals. Of course, Affordable Moving & Storage will transport your belongings affordably and securely to and from any self storage units in New Jersey that you choose. 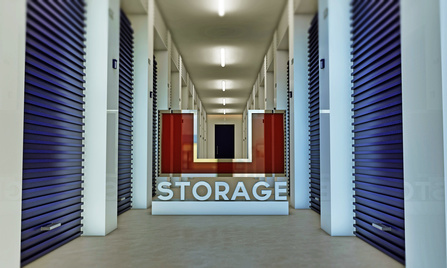 Because we care about you and your possessions, we’d like to provide you with some pointers on choosing a storage unit. Squeaky clean and no squeaky critters. Examine the office as well as the storage units for tidiness and cleanliness. How often is the facility inspected for bugs and rodents and how often is it fumigated? Excellent security. How is access to the units monitored? Are there measures in place to prevent thieves from hiding their stashes there or helping themselves to your valuables? Convenient gate and office hours. Is there an after-hours number in case of problems or an emergency? The correct size for your requirements. Is there space for you to access your belongings with ease and for ventilation if necessary? Climate control. If you’re storing wooden chairs that may crack in a dry environment or papers that develop mold in a humid space, you’ll need to look for a climate controlled self storage unit. As you’ll pay more for this benefit, make sure that you actually need it. 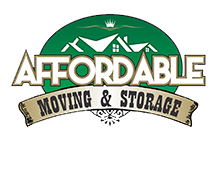 Affordable Moving & Storage recommends several clean, local self-storage facilities, providing a storage solution that helps you make room in your rooms! In the event that you're looking for a containerized storage facility, we try to accommodate this request whenever we can. We ask that you provide a minimum of 30 days notice if containerized storage is your preference.